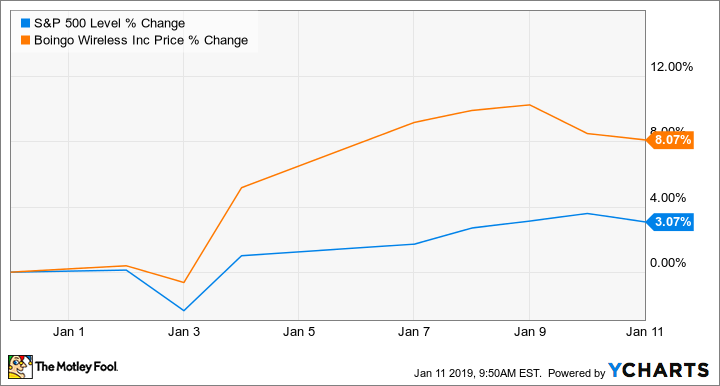 Boingo stock ended the year with another month of double-digit declines, but it still closed out 2018 up 8.6%. Shares of Boingo Wireless (NASDAQ:WIFI) fell 17.9% in December, according to data from S&P Global Market Intelligence. Last month's double-digit sell-off arrived on the heels of a 20% decline for the stock in November, but shares still ended 2018 in positive territory. There wasn't much in the way of fresh news behind the company's December slide, but the overall market saw steep sell-offs, and Boingo's growth-dependent valuation appears to have encouraged investors to move out of the stock in order to limit risk exposure in a volatile trading period. Lingering disappointment from the company's most recent sales targets likely played a role in Boingo's market-lagging performance last month. The company has been posting strong sales growth, consistently beating earnings expectations, and could be on track to shift into profitability over the next couple years. However, its fourth-quarter sales guidance left investors underwhelmed and may have been interpreted as an indication that the business's path to getting in the black was less promising than previously anticipated. 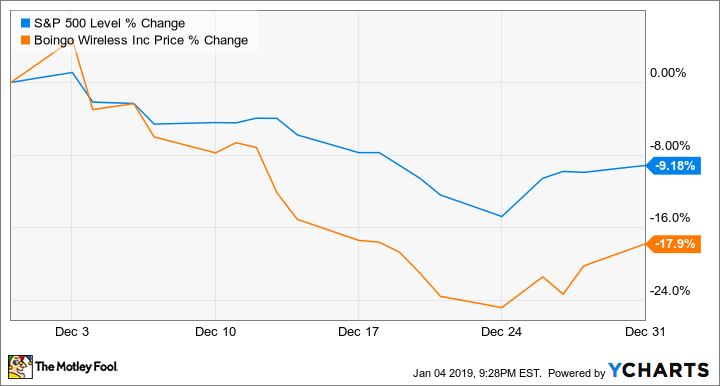 With the overall market seeing steep declines in December, investors became less willing to take a chance on Boingo's growth story. Boingo stock has seen some recovery along with the broader market this month, with its shares trading up roughly 8.1% in the month so far. Boingo's business has been pressured in recent years by mobile-wireless providers shifting to unlimited data plans, but the company has pivoted to a focus on providing service at malls, airports, and other high-traffic public-gathering places. This transition appears to have the business moving in the right direction, but investors will have to weigh whether the stock presents sufficient upside trading at 3.2 times forward sales. Check out the latest Boingo earnings call transcript.